Forgotten Bookmarks: What Does It Mean? Small scrap of paper, looks photocopied. Perhaps part of someone's (Kathleen's) homework. 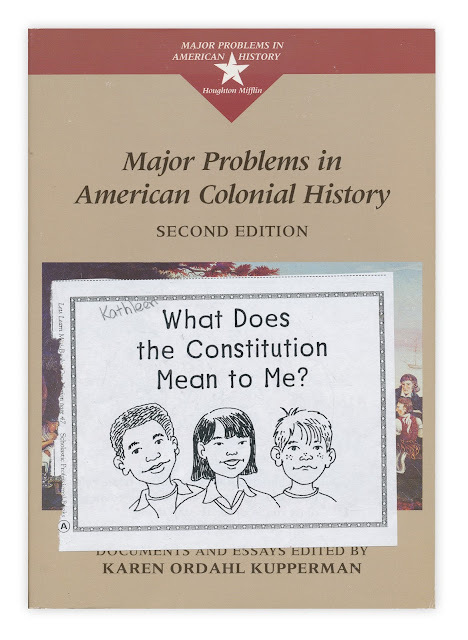 Found in "Major Problems in American Colonial History" edited by Karen Ordhal Kupperman. Published by Houghton Mifflin, 2000.